Monitoring financial resource flows for reproductive, maternal, newborn, and child health is a central part of the Countdown — determining the funding gap between resources currently available and the actual investments required to reach national and MDG targets, and holding governments and the international community to account for investing adequately in the health of women and children. Policy-makers need financial information to make informed decisions on how to best allocate resources among competing needs, set priorities, and ensure sustainable funding for programs. The information should also be used to hold governments and their development partners accountable and ensure that adequate and sustainable funding is provided for RMNCH. Countdown’s Health Financing Working Group works to track and analyze these financial flows. Grollman C, Cavallaro FL, Duclos D, Bakare V, Martínez Álvarez M, Borghi J. Donor funding for family planning: levels and trends between 2003 and 2013. Health Policy Plan. 2018 May 1;33(4):574-582. doi: 10.1093/heapol/czy006. Borghi J, Munthali S, Million LB, Martinez-Alvarez M. Health financing at district level in Malawi: an analysis of the distribution of funds at two points in time. Health Policy Plan. 2018 Jan 1;33(1):59-69. doi: 10.1093/heapol/czx130. Martinez-Alvarez M, Acharya A, Arregoces L, Brearley L, Pitt C, Grollman C, Borghi J. Trends In The Alignment And Harmonization Of Reproductive, Maternal, Newborn, And Child Health Funding, 2008-13. Health Aff (Millwood). 2017 Nov;36(11):1876-1886. doi: 10.1377/hlthaff.2017.0364. Grollman C, Arregoces L, Martinez-Alvarez M, Pitt C, Powell-Jackson T, Hsu J, Greco G, Borghi J. Developing a dataset to track aid for reproductive, maternal, newborn and child health, 2003–2013. Scientific Data 4, Article number: 170038(2017). doi:10.1038/sdata.2017.38. http://www.nature.com/articles/sdata201738. 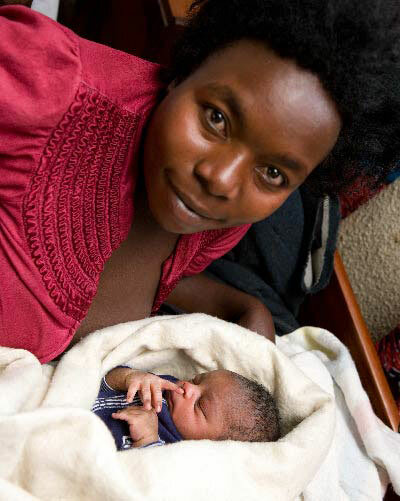 In addition, Countdown in September 2012 published a Briefing Note summarizing the most recent findings on international and domestic financial flows for maternal, newborn, and child health. The financial data used in Countdown’s reports and profiles are publicly available, and can be downloaded here. For more information about Countdown’s datasets, please contact the Countdown Secretariat at countdown@jhu.edu.